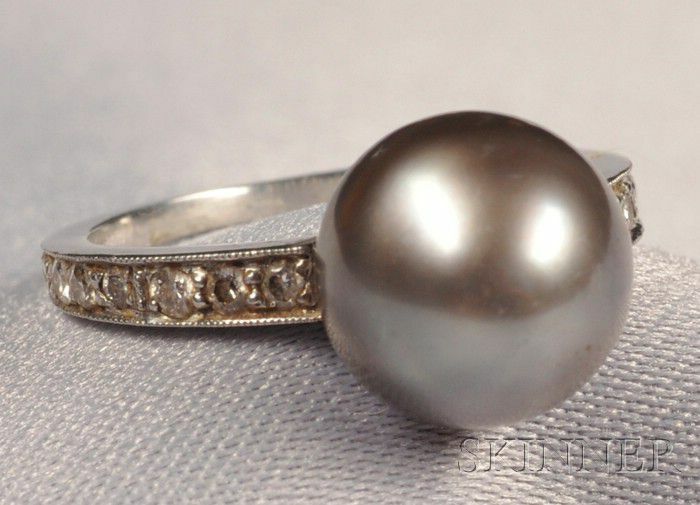 Art Deco Platinum and Gray Pearl Ring, set with a pearl measuring approx. 9.30 mm, old European-cut diamond melee shoulders, millegrain accents, size 4. Note: Pearl not tested for origin or treatment. 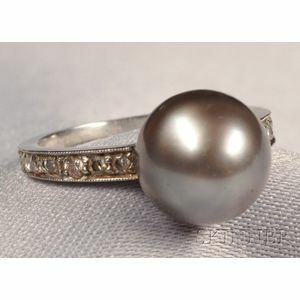 Pearl is slightly baroque, pleasant lustre with rose overtone, mount mainly clean without evident problems.